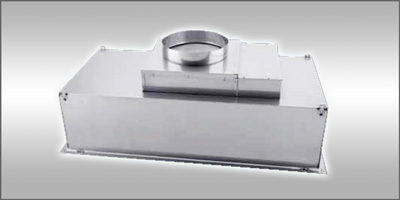 Fan-powered laminar flow diffuser with room-side replaceable, high efficiency filter provides exceptionally clean air for critical spaces. Use with ducted systems or non-ducted applications. Unidirectional column of clean minimizes mixing of room air with filtered, clean supply air. Electronically commutated motor (ECM) provides highly efficient air movement while maintaining pressure independent, constant volume airflow even as the filter loads up over time. Easily integrated into the building management system or for use with remote controls.